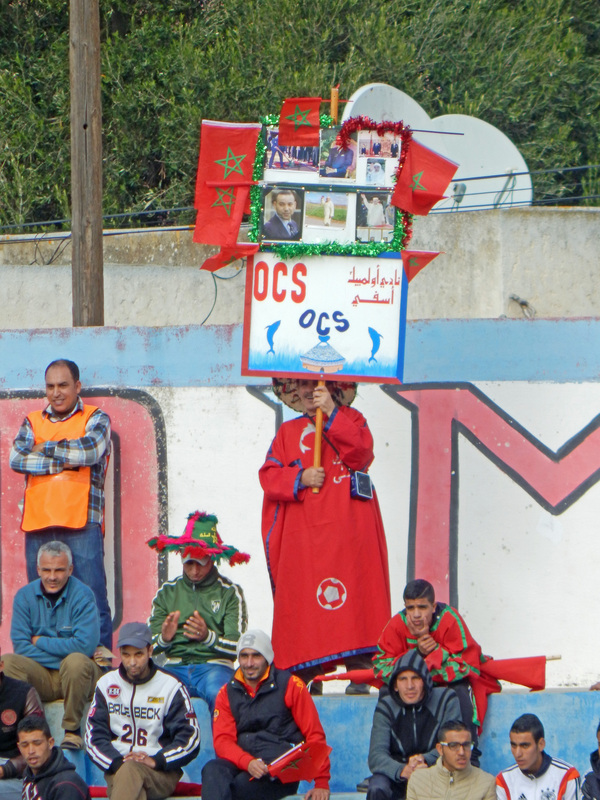 The roots of Olympic Club de Safi date to 1918 Union Sportive de Safi were formed, making them one of the oldest clubs in Morocco. 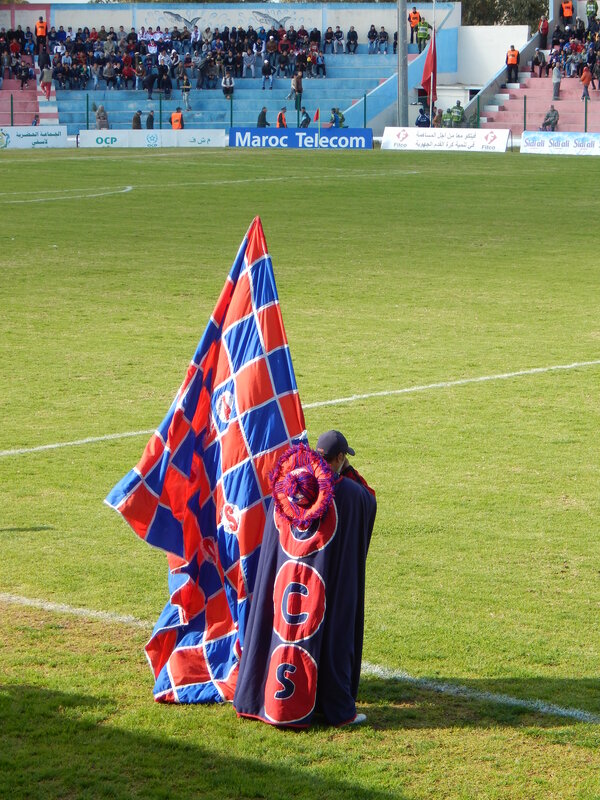 Organised football had only been introduced to Morocco by the French at the commencement of the protectorate state in 1912. In 1956 following Morocco’s independence, the club changed its name to Ittihad (Arab Union) Club Safi. Thirty years later the present name was adopted following a long term sponsorship deal with Office Cherifian Phosphate which should see sporting facilities dramatically improved in this coastal town famous for its pottery and ceramics. 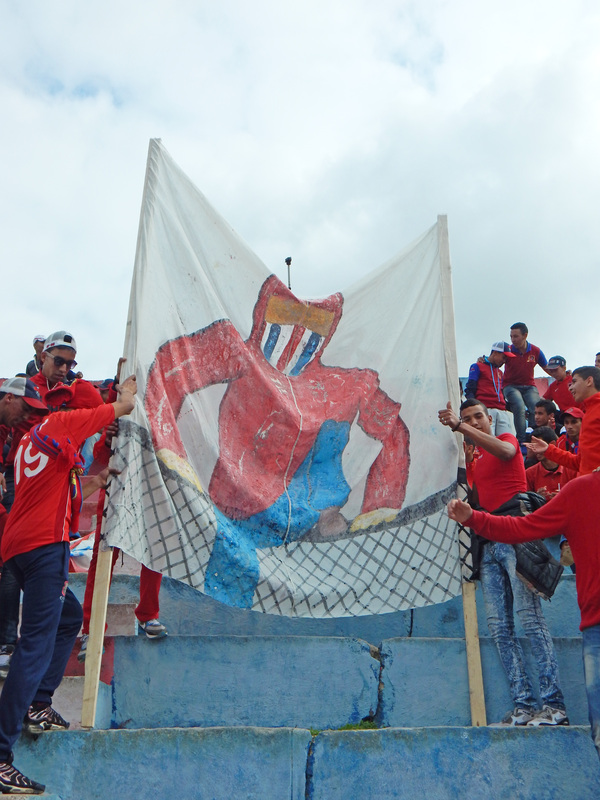 Today’s match sees the hosts in eleventh place of the sixteen team Botola Pro League, while the visitors from Chabab Rif Al Hoceima are thirteenth. 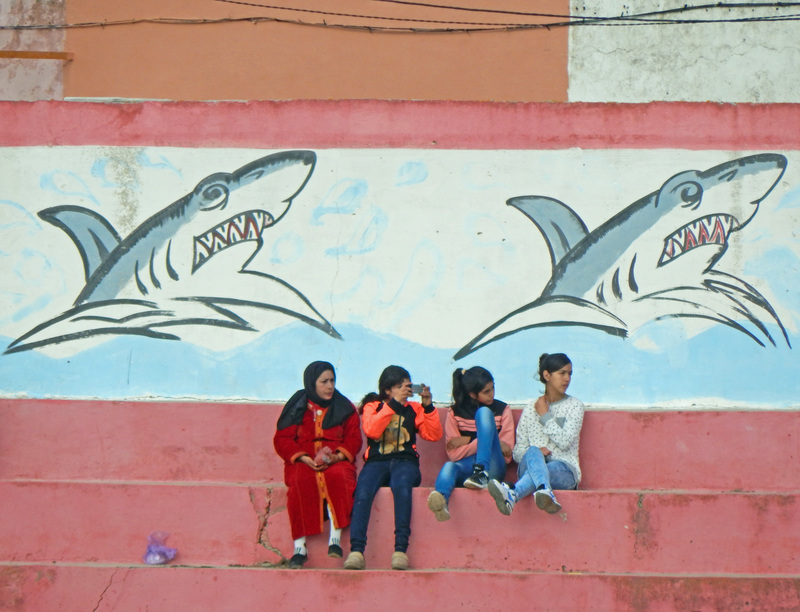 The sheer size of Morocco comes in to focus when the away team have endured a nine hour, 500 mile journey from the town of Al Hoceima on the Mediterranean coast. Safi itself is lies less than half way down the country in the province of Doukkala-Abda. 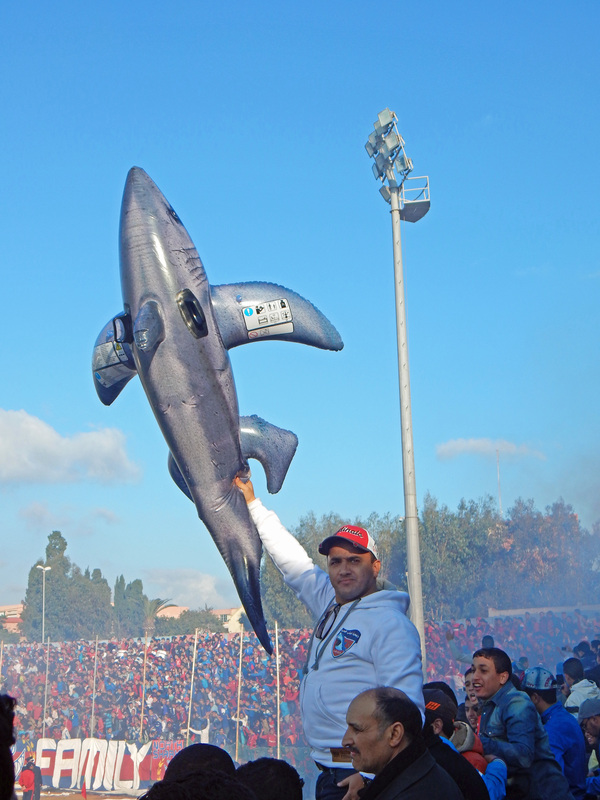 The visitors have played in the top flight for the last six seasons while Olympic Safi won the Second Division in 2003/04 and have remained in the top flight ever since. 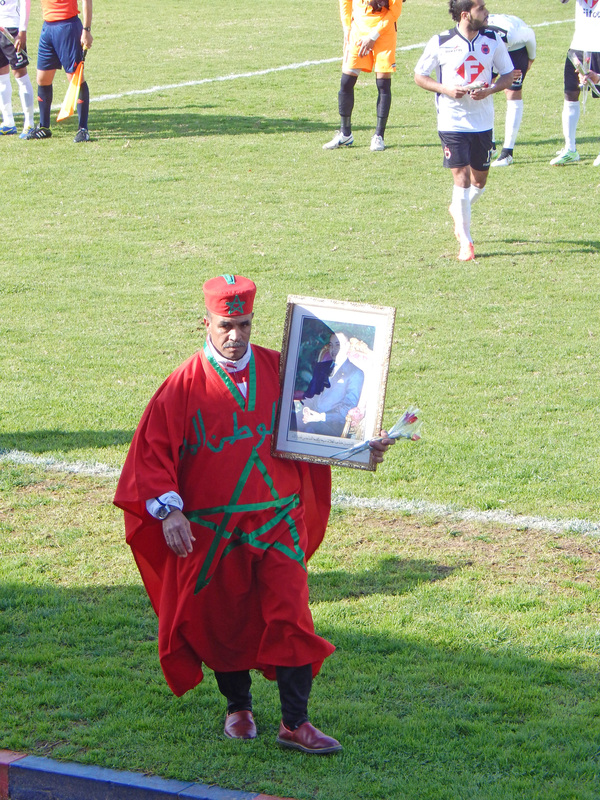 Prior to this the only silverware won by Safi was a Coupe du Trône success in 1956/57. 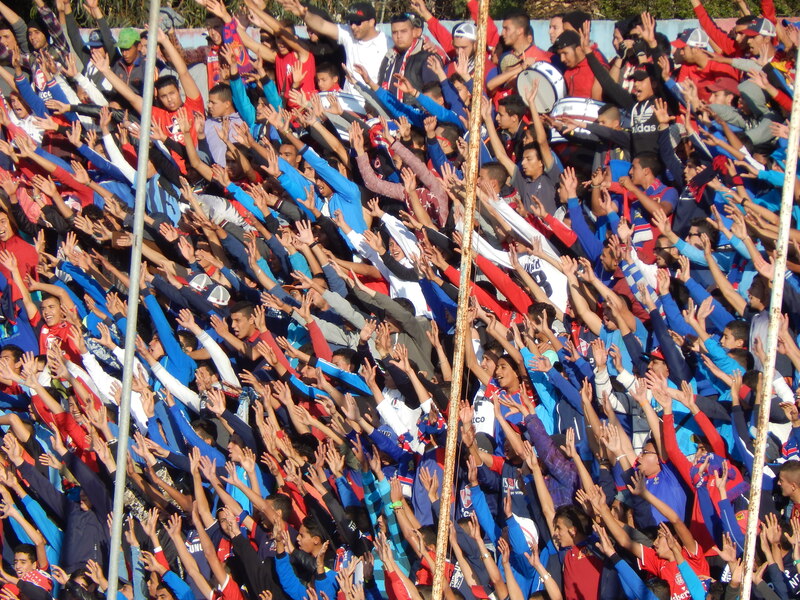 Their best performance so far in the Botola Pro League has been a fourth place finish in their first season of 2004/05 which was sufficient to see them compete in the intercontinental Arab Club Championship for the first time in their history. 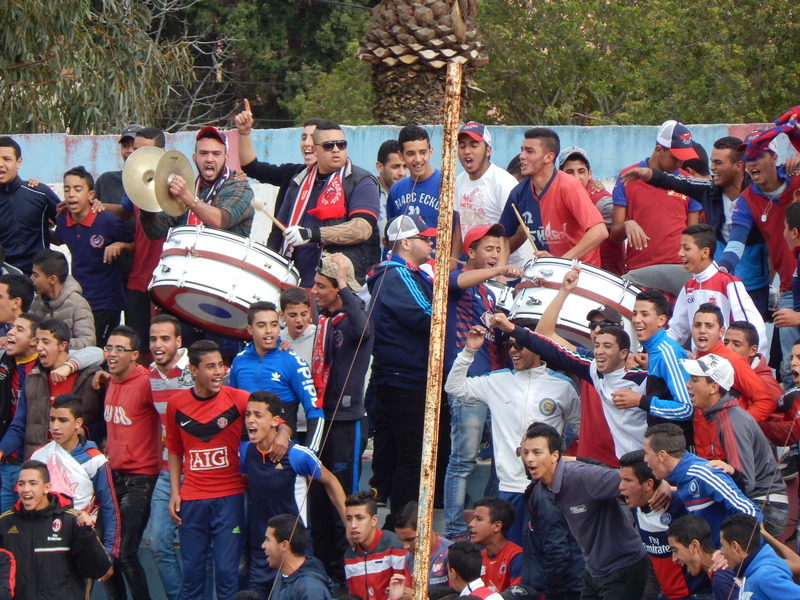 Olympic Safi play at the Stade El Massira which is located on the outskirts of the town on the road to Marrakech. 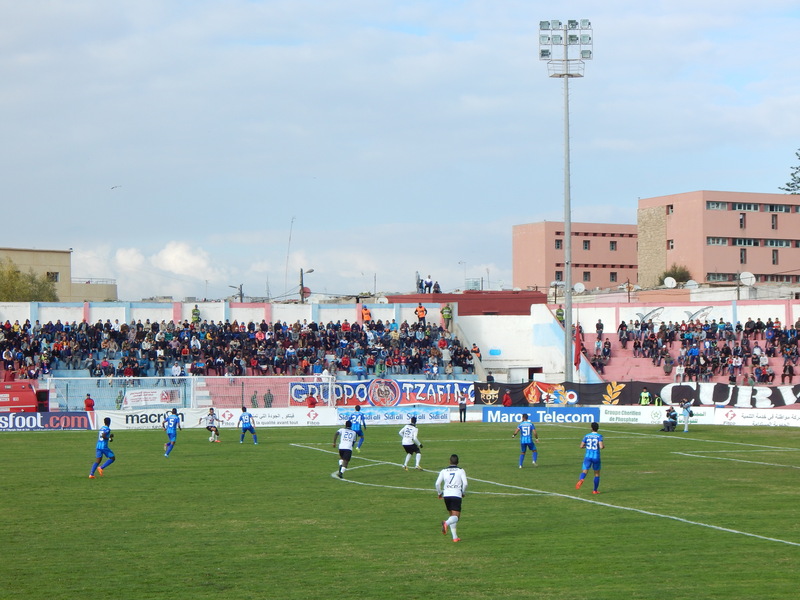 The stadium has also been known by its French name of the Stade de la Marche Verte, a reference to the 1975 government co-ordinated protests against Spain and their ownership of the disputed Southern Sahara region. The stadium is a simple affair a small covered stands houses the press and dignitaries seating where and the rest of the stadium is blue and red stone steps which can either be sat on, preferably with some form of cushioning, or stood on as the majority of the home support preferred to do. 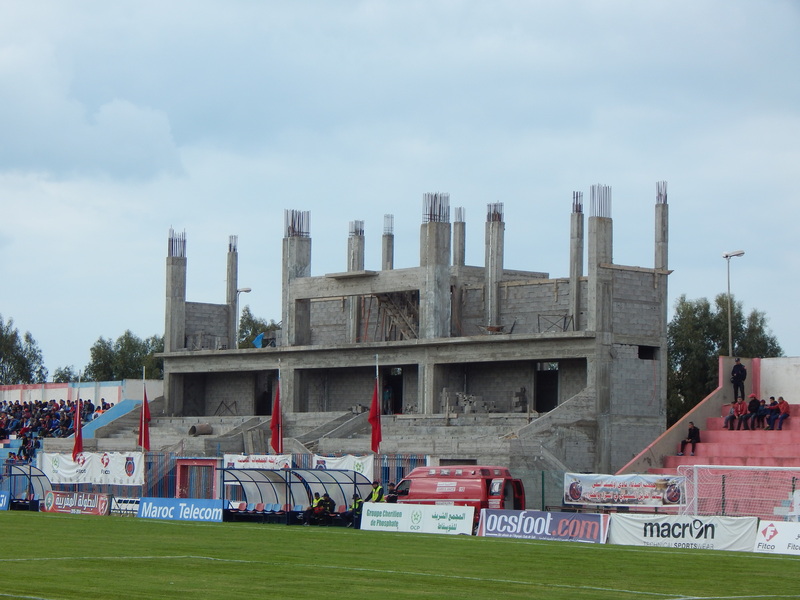 Opposite the main stand and bisecting the old tribune is the skeleton of a new stand, grey concrete for now but could look impressive once finished. The club experimented with a 3G pitch in 2011 but the current surface is natural grass. The capacity of the El Massira, built during the French Protectorate period, is variously listed as 15,000 to 20,000, although I doubt it has ever been truly tested or measured. 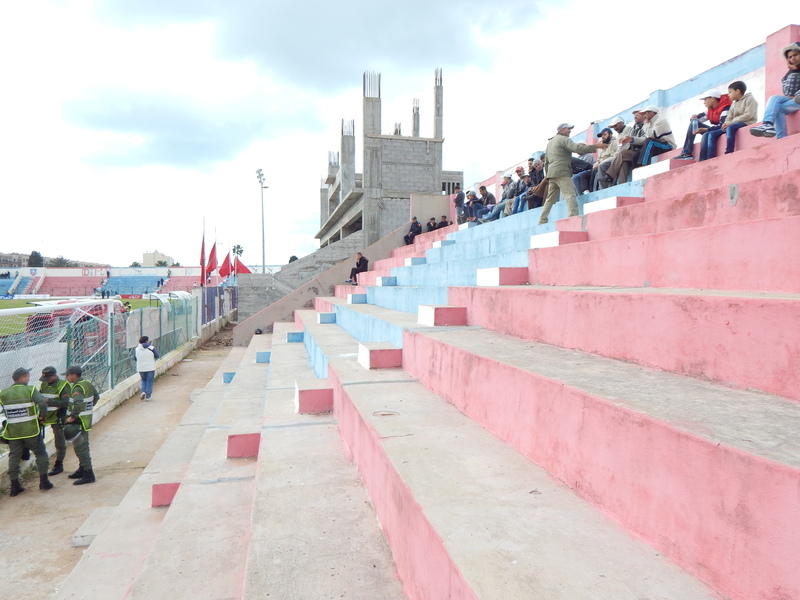 The boisterous contingent of the Safi support was located in the curved south section of standing to the right of the main stand. 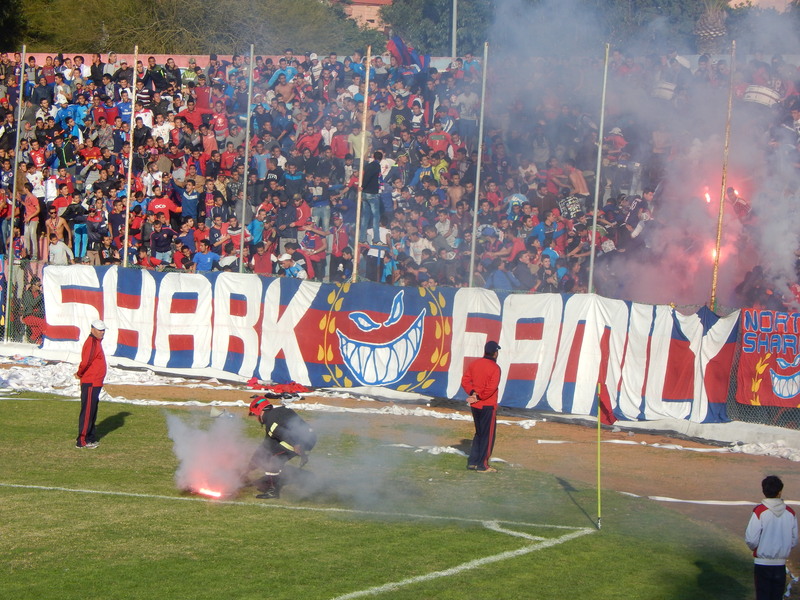 Four alternate sections were clad in blue and red for a great visual effect, this was the “Shark Family”, an ultras group formed in 2006. 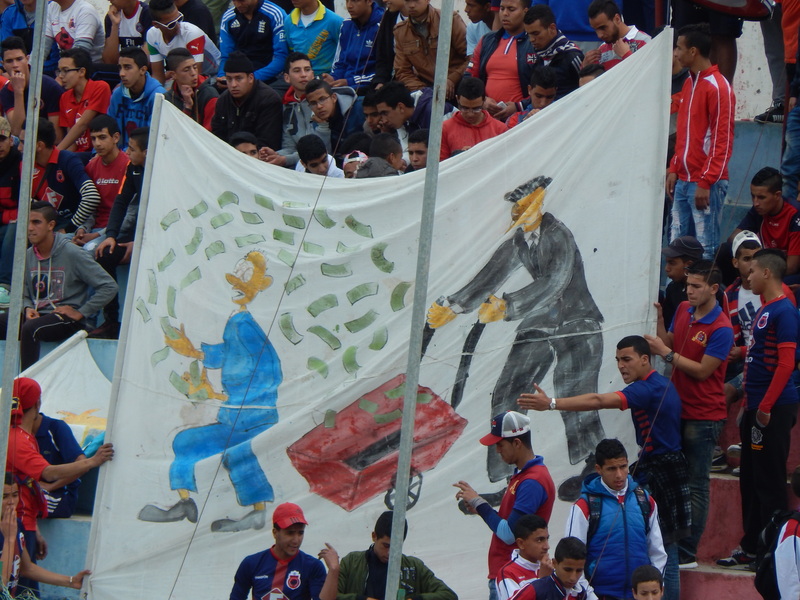 Their support was magnificent, a tifo at kick off saw them looking through what appeared to be televisions. 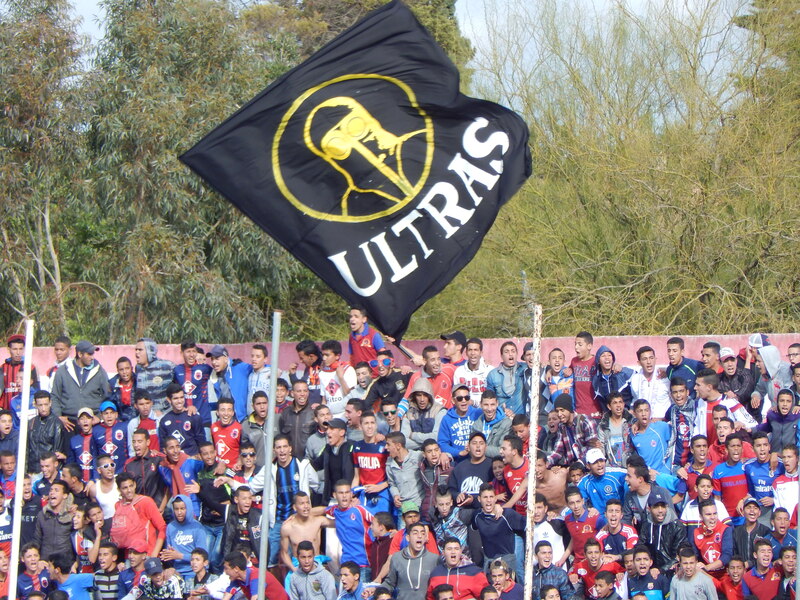 The ultras were loud, colourful, well organised and made compelling viewing. The south corner of the pitch was regularly adorned with ticker tape and late in the second half around a dozen flares, despite stringent searches on entering, were lit and most of them were hurled onto the pitch. 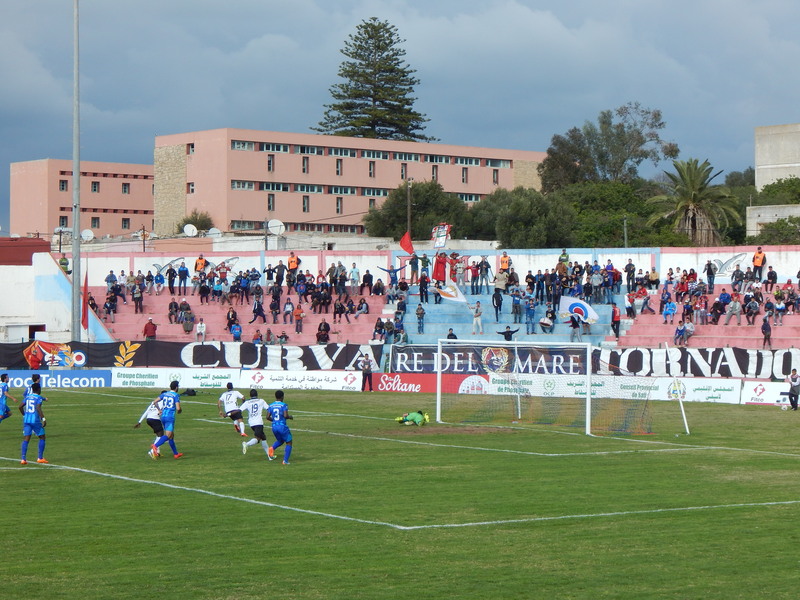 There was also a smaller section of younger ultras, the “Re Del Mare” located in the Curva Tornado. 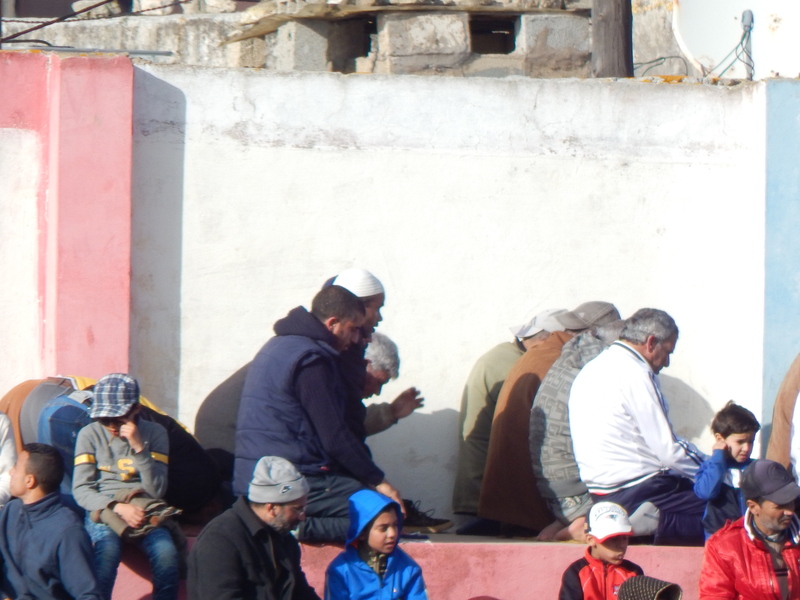 The majority of the rest of the support was from an older generation and used the half time break for a communal prayer session. The match itself was a tame affair on a decidedly bobbly pitch. The hosts were clearly the superior side and took the lead on sixteen minutes when a generous looking penalty was awarded. 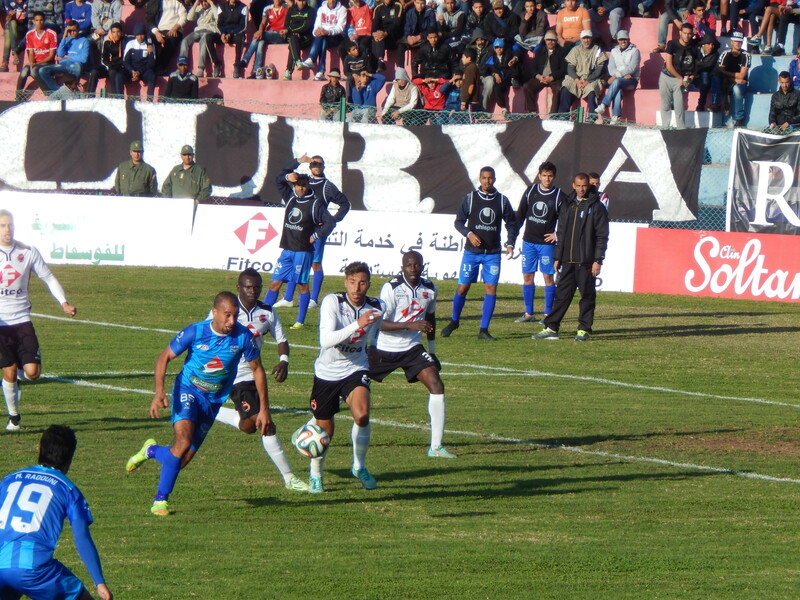 Abdelghani Mouaoui converted comfortably for an early breakthrough. 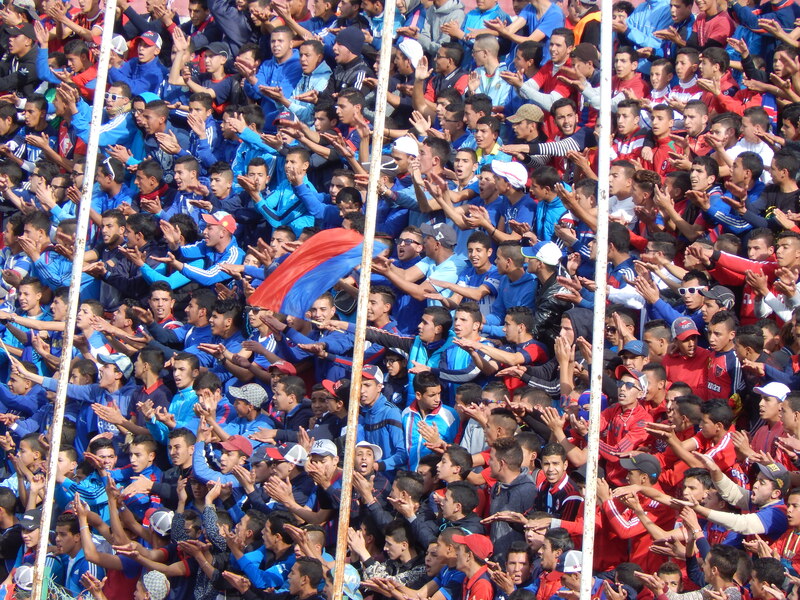 I understand that Al Hoceima were so incensed by the penalty awarded by referee Mounir Mabrouk that they have subsequently submitted a formal written complaint to the Royal Moroccan Football Federation to register their dissatisfaction. However, it should be said that overall the visitors were poor and reflected their lowly league position. They barely mustered a shot in anger with only Abdelkarim Benhania providing any threat in the final third. The hosts plugged away for a second goal but it never came but at least the superb ultras got the result their unrelenting support deserved. In truth the Botola Pro League table doesn’t lie, the big clubs like Moghreb Tétouan, Raja and Wydad Casablanca are perennially at the top with provincial sides like Safi and Al Hoceima seeing mid table as a decent season. The quality of play was hindered by a poor pitch and as we know any truly talented Moroccan players are spirited to Europe as soon as possible. 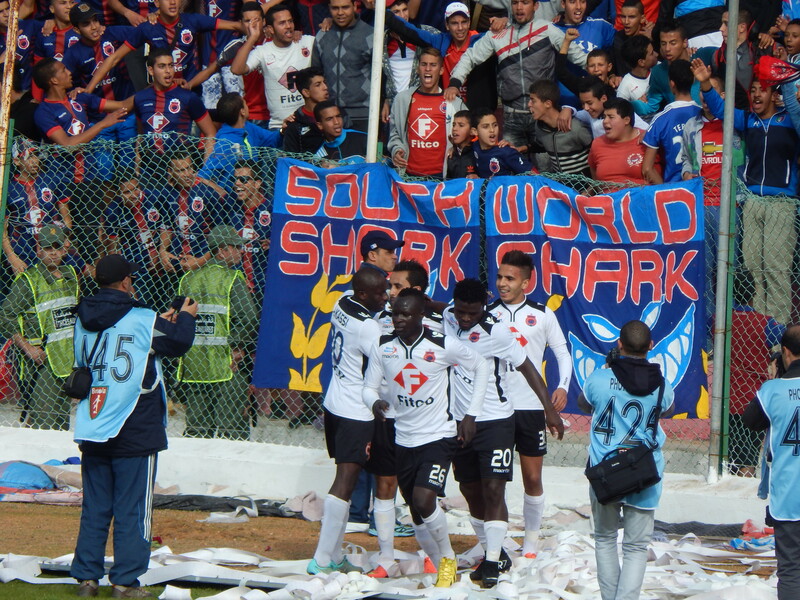 All said and done, however, my trip to Safi was truly memorable for fantastic, noisy support and a decent stadium painted liberally to give a real sense of identity and home. 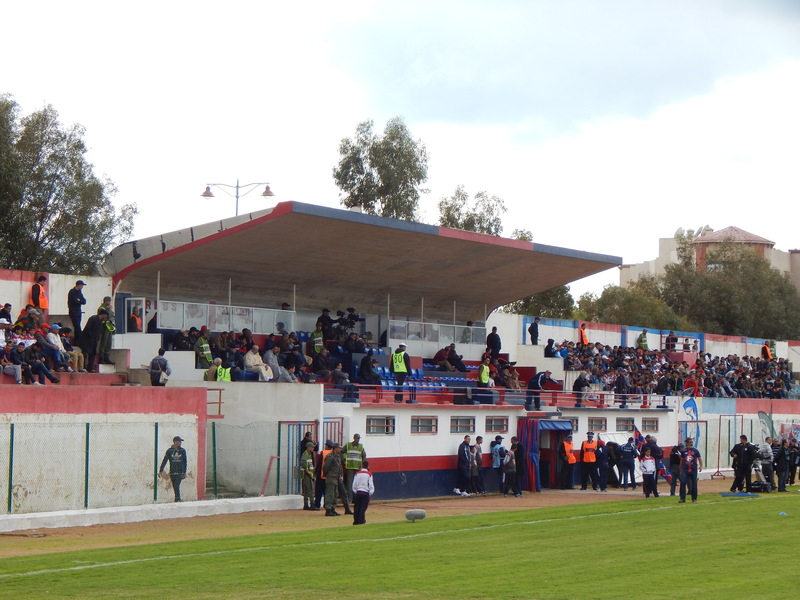 This entry was posted in Travel, Matches & Stadiums and tagged Botola Pro League, Chabab Rif Al Hoceima, groundhopping, Morocco, Olympic Club de Safi, Stade de la Marche Verte, Stade El Massira by peterrmiles. Bookmark the permalink.